In the process of conducting an audit, finances and assets of a business are accounted for and measured. 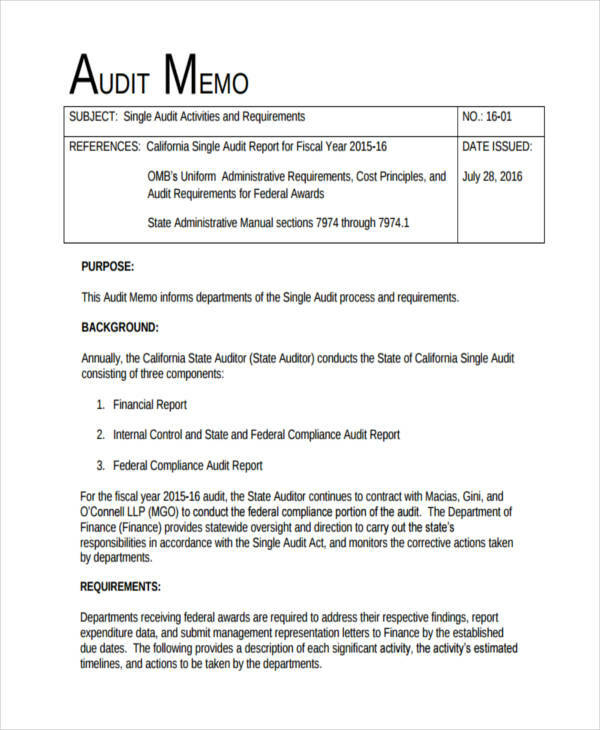 An audit memo is required or made as the final step in completing an audit. 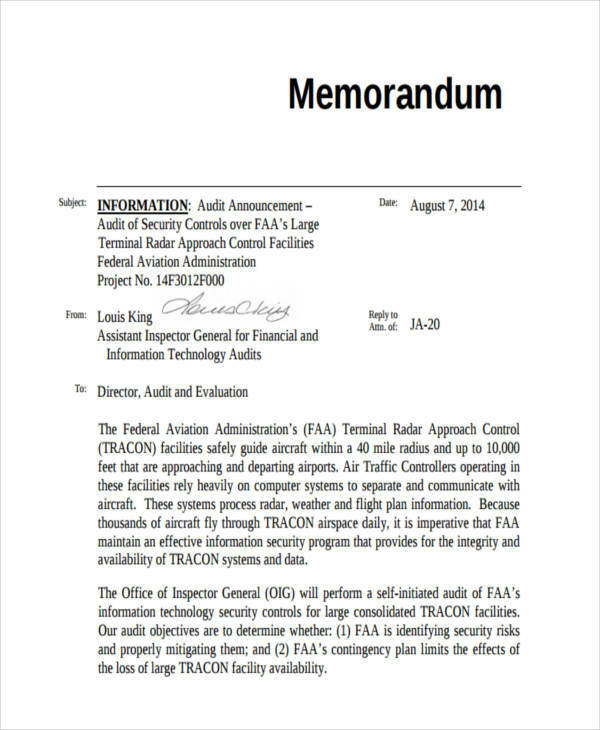 The whole purpose of such an audit hinges on having an effective memo of audit or audit memo. 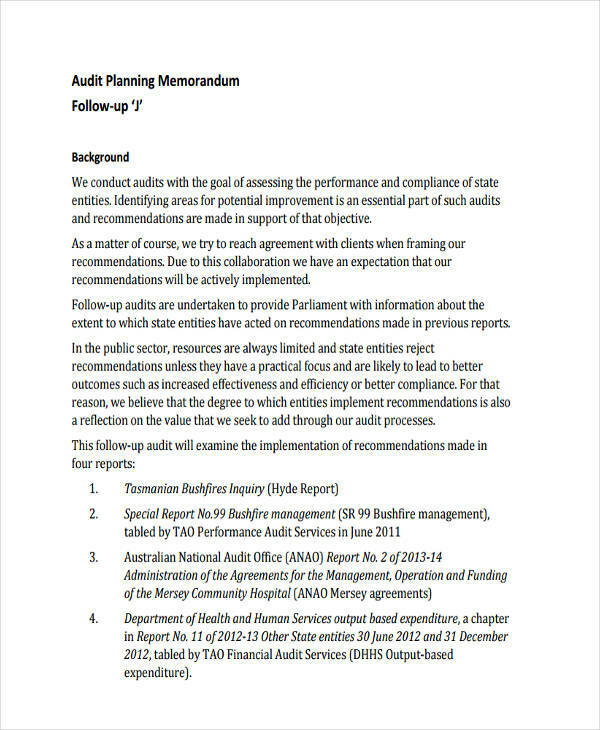 Examples in the page show how an audit memo or any basic memo is structured and made. They provide further information regarding a memo. All examples can be downloaded by clicking on the download link button below each sample. 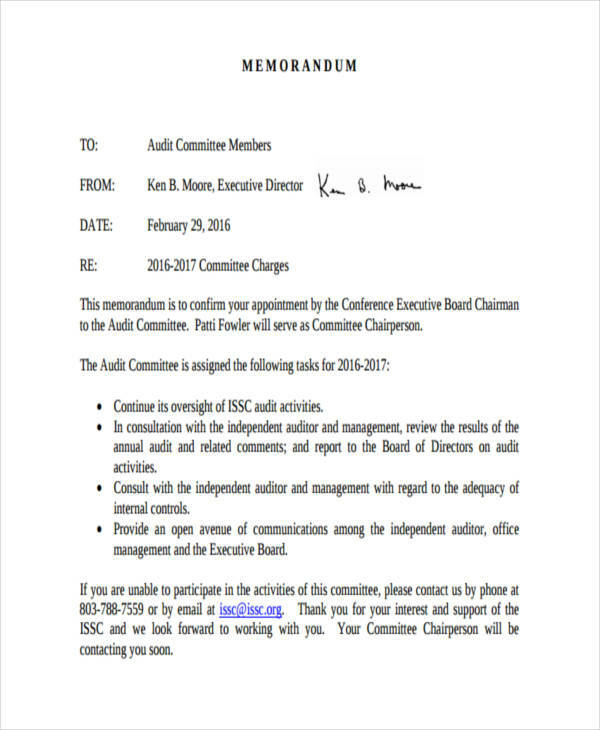 Scroll down the page to view more audit memo samples. 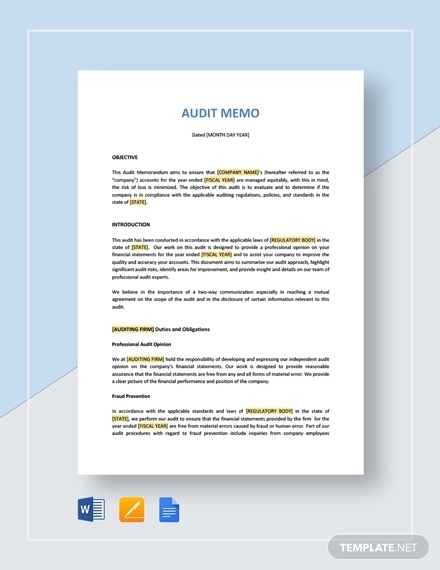 What Is an Audit Memo? 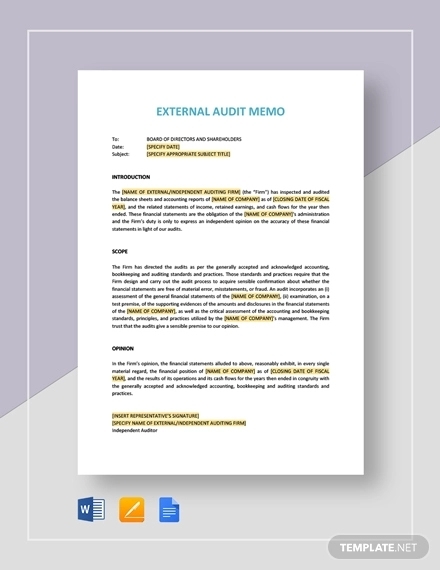 An audit memo is a short document issued as part of an audit. It outlines the finances and assets a business currently has from the physical count done compared to the records indicated in its books or acquired balance information from external sources. It requires the eye for numbers as when creating a debit memo, the attention to accuracy and detail as in a research memo or legal memo, as well as the professional tone expected in any formal memo or company memo. The header and introduction – the header contains the clients information and date of audit. 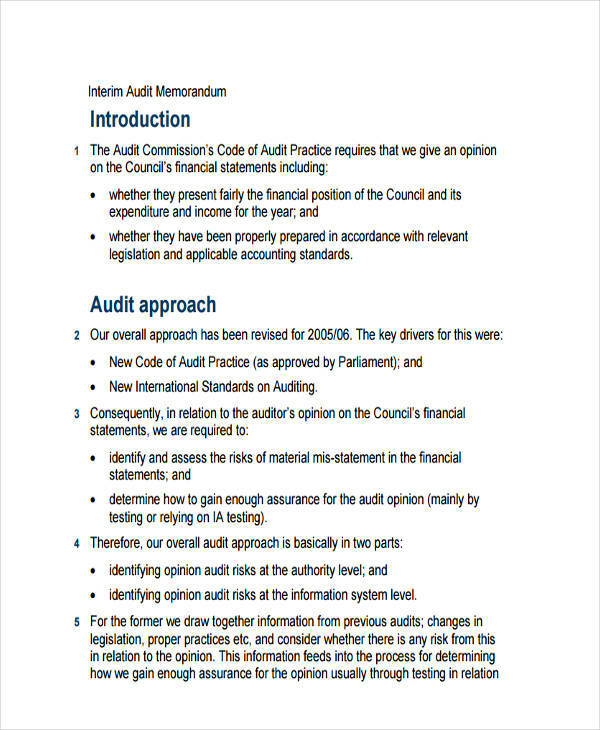 The introduction should state the initial objectives of the audit. Body – the body is a discussion of the results of the recently conducted audit. 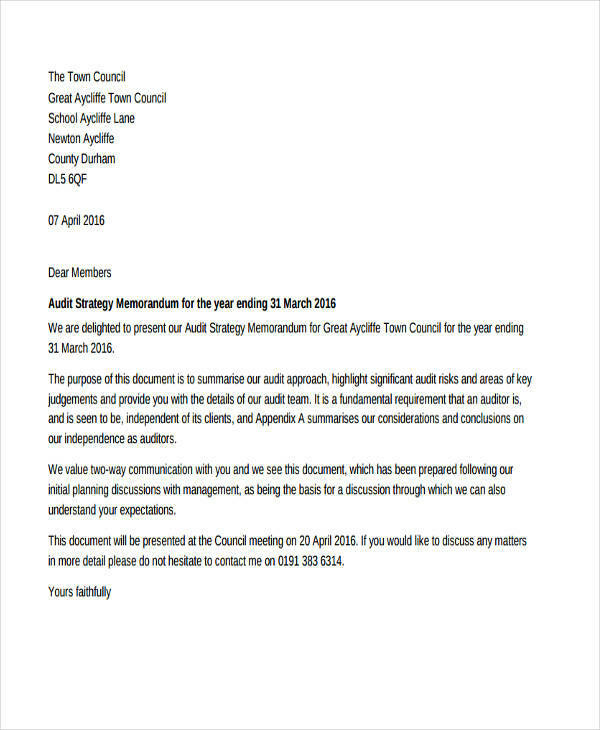 Summary and recommendations – this includes a summary of present processes, areas that did well on the audit, and recommendations in improving present processes. If you find any of the PDF action memo examples useful for reference, be sure to click on the download link button below the sample of your liking. 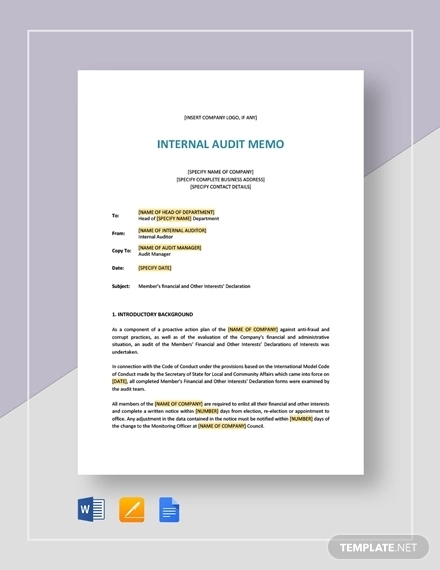 An audit memo plays an important part in the audit process since it summarizes all information gathered during an audit, whenever you do these audits. It highlights key areas that need improvement as well as any discrepancies found in the records in contrast to the actual asset inventory. In the introduction, it would be helpful to explain if the company showed an either lower or higher financial standing in comparison to its records. Explain the implications regarding the difference in the physical count versus the record in the books. Outline any contracts and detail labor audit in relation to daily, monthly, or annual productivity. 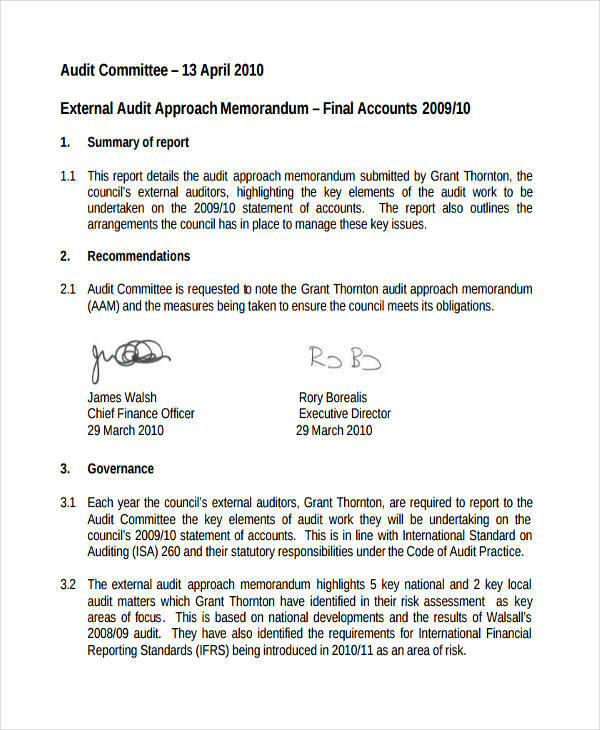 Summarized audit that outlines the current finances together with recommendations for improvement. 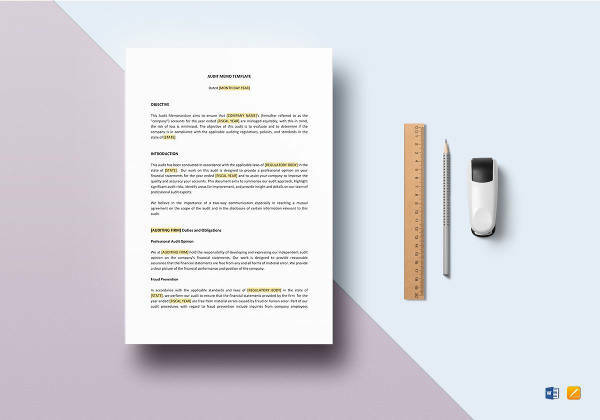 Any of these sample memos as well as other management memo examples onsite should help you with the layout and content of your memo. Be sure to check them out and download for free whatever is useful to you.